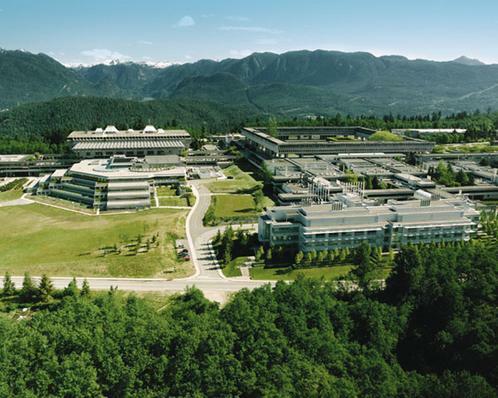 Simon Fraser University offers conference and guest accommodations in beautiful Burnaby, British Columbia. 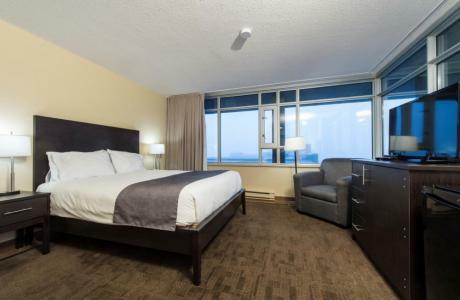 We are proud to provide a variety of British Columbia accommodation and meeting room choices in a safe and comfortable environment. 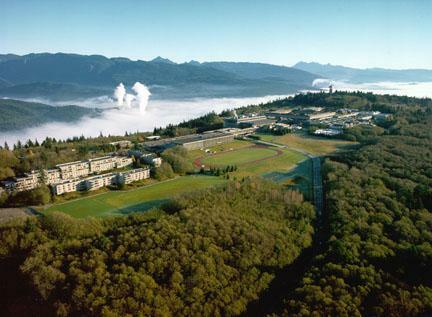 If you are looking for British Columbia retreat centres or wedding venues, then this is your location. With accommodations for up to 750 participants and Burnaby meeting spaces to hold 500, we have options to suit the budget needs of individual travelers as well as groups and associations. We have years of experience working closely with group organizers in creating an experience that successfully meets the group’s many unique needs in a Burnaby event venue. 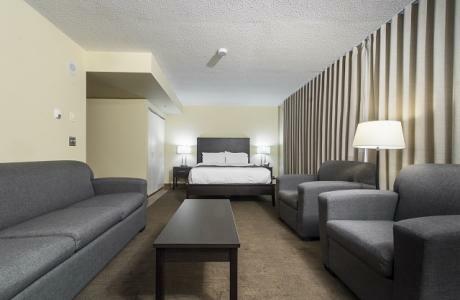 Our Burnaby, British Columbia hotel rooms, meeting space, and dining facilities are available year round. Townhouse Quad Units and Private Residence towers with private single rooms are available May through August. 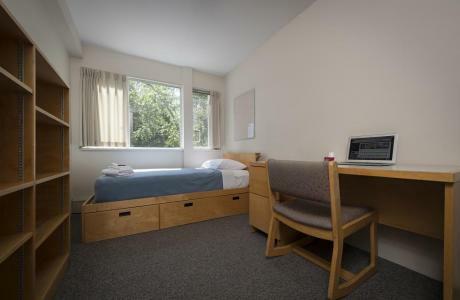 Accommodation is also available at a number of nearby hotels. Vancouver, BC - 15 km; 30-45 min driving/public transit. 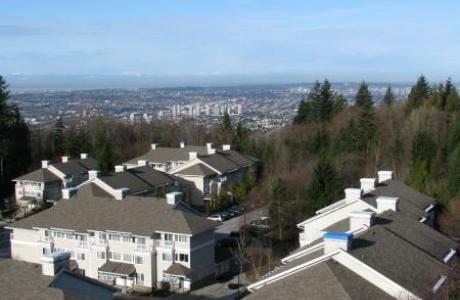 Coquitlam, BC - 5 km. Port Coquitlam - 15 km Port Moody - 10 km New Westminster - 10 km Surrey, BC - 15 km. Richmond, BC - 35 km/45 min driving Victoria, BC - 135 Km; 3.5 hours driving and ferry. Whistler, BC - 135 kms; 2 hours driving. 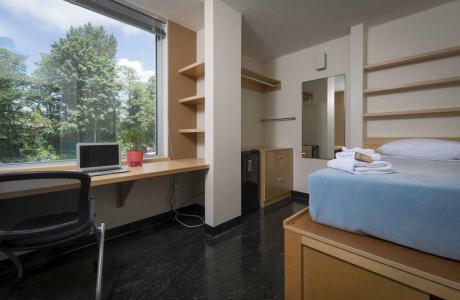 Year round boutique style hotel suites on campus. Townhouse quads, Private Residence rooms available May - August. Meeting rooms and dining service available year round. 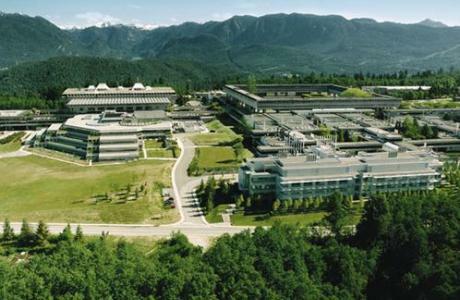 Burnaby, British Columbia meeting space at Simon Fraser University is equipped with data projectors. Wireless internet access across campus including meeting spaces and throughout SFU Conference and Guest Accommodations. A wide variety of food options available including...cafeteria style, banquet facilities, full service catering and Starbucks. Liquor by special occasion license and through SFU catering only. 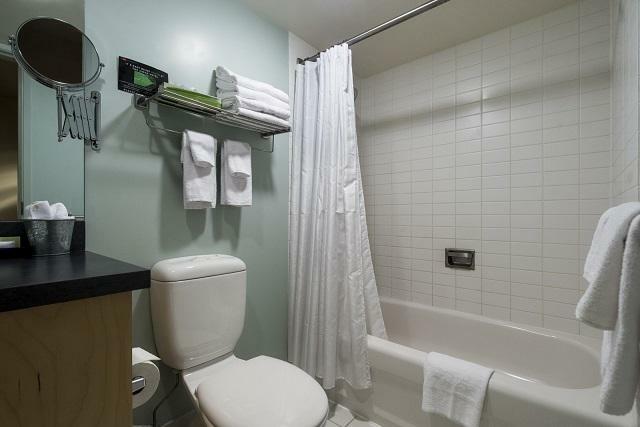 Hotel Rooms $98 - $135.00. 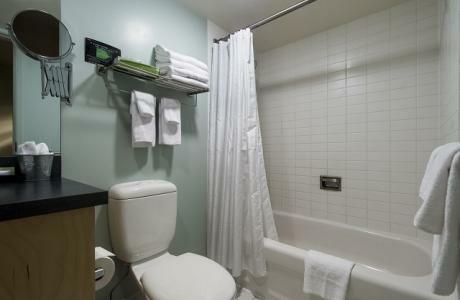 Private Residence Rooms $40 - $44. 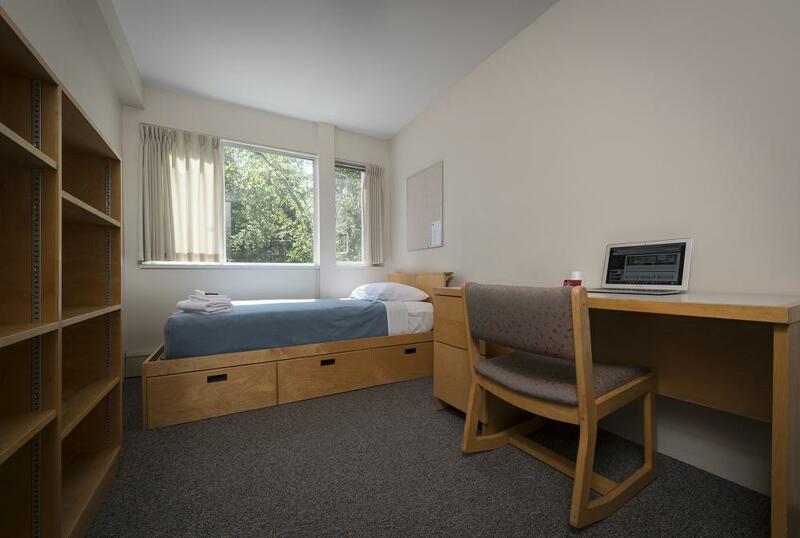 Townhouse Quads $160 - $175 Meeting space $75 classrooms to $1000 per day lecture theatres. No Pets. No Smoking in any campus facility. 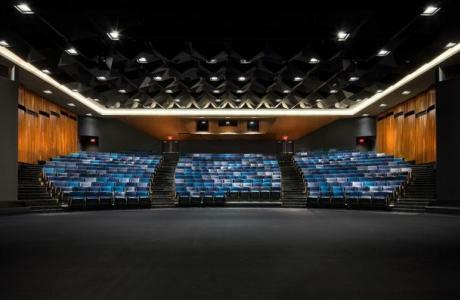 SFU Theatre	 A newly renovated and spectacular mountaintop location, complete with state-of-the-art lighting and audio visual equipment. The entrance foyer features two pristine 30 foot Buell Mullen murals. Fully licensed with available onsite catering. An exceptional venue for your meetings, seminars, conferences, recitals, AGMs, films, & more. Lecture Theatres	 Lecture theatres contain state-of-the-art audio-visual equipment, and most are equipped with data projectors and internet connections. Tiered seating theatres range in size from 36-504 seats, all with folding writing tables on each chair. Classrooms	 Flexible classroom spaces range between 20-50 seats, and can be set either in classroom or boardroom seating. All classrooms are equipped to be moved to fit your meeting needs. 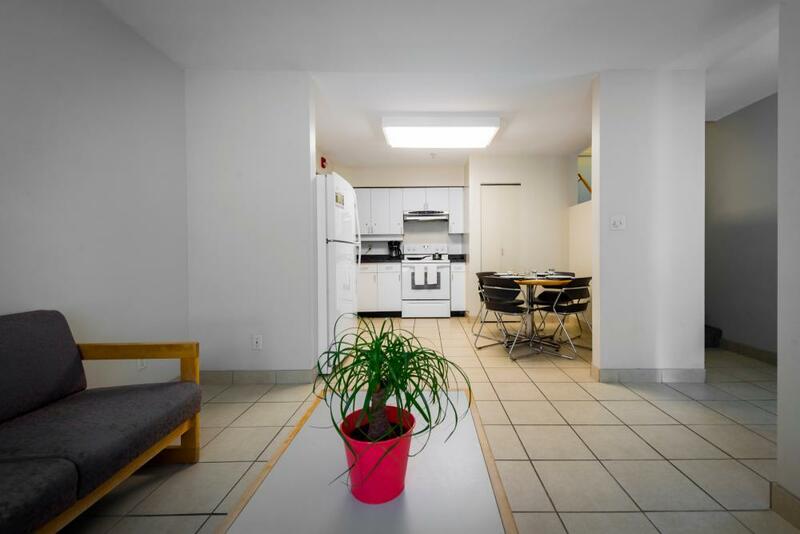 They come equipped with an overhead projector, blackboards and projection screens; many offer natural light. Diamond Alumni Centre	 The Diamond Alumni Centre is renowned for its spectacular scenery and location. 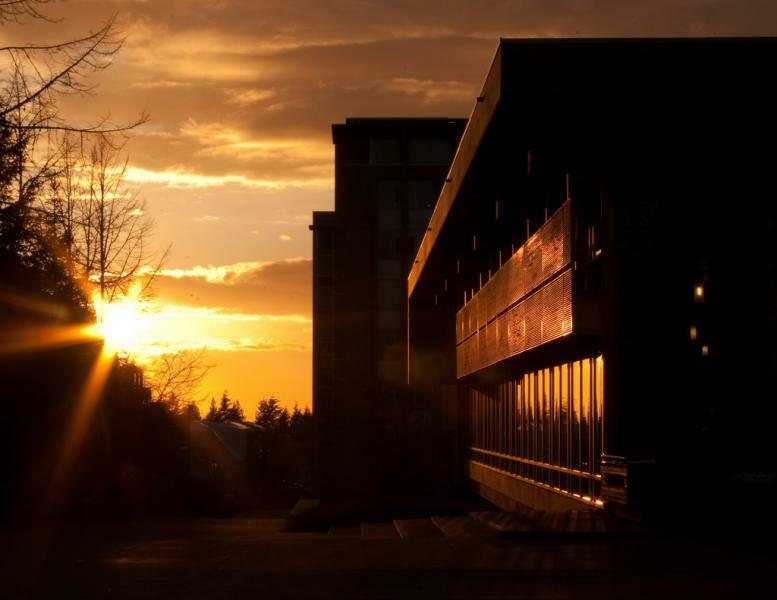 Our unique combination of great food, personalized service and outstanding views make the Diamond Alumni Centre an especially popular venue for conferences, meetings, weddings and other celebration events. 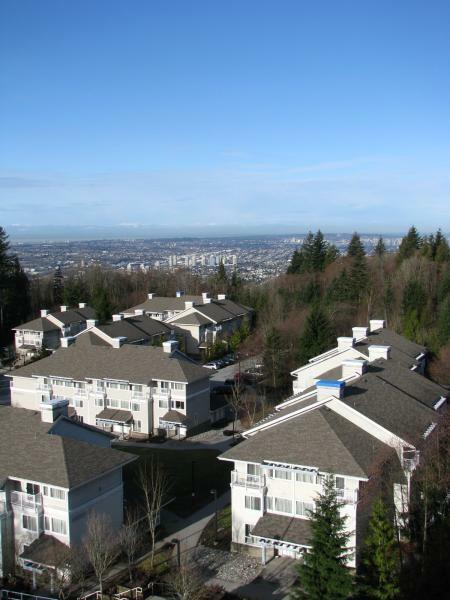 Built on two levels, the Centre incorporates natural timbers, stone fireplaces and abundant greenery to create a harmonious setting from which you can enjoy the panoramic view of Indian Arm and the North Shore Mountains. The Main Dining room, bar and dance floor occupy the upper level, while the lower level features two reception and meeting rooms. 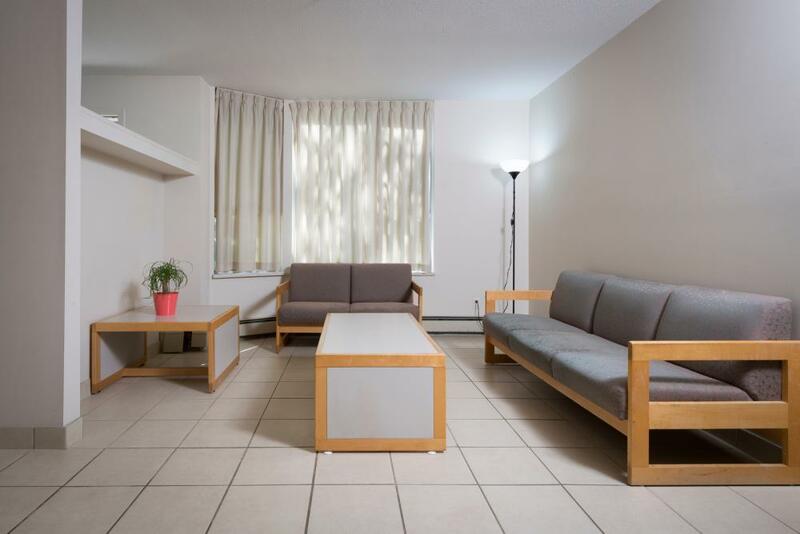 Both levels offer access to an outside deck and all areas of our centre are wheelchair accessible. 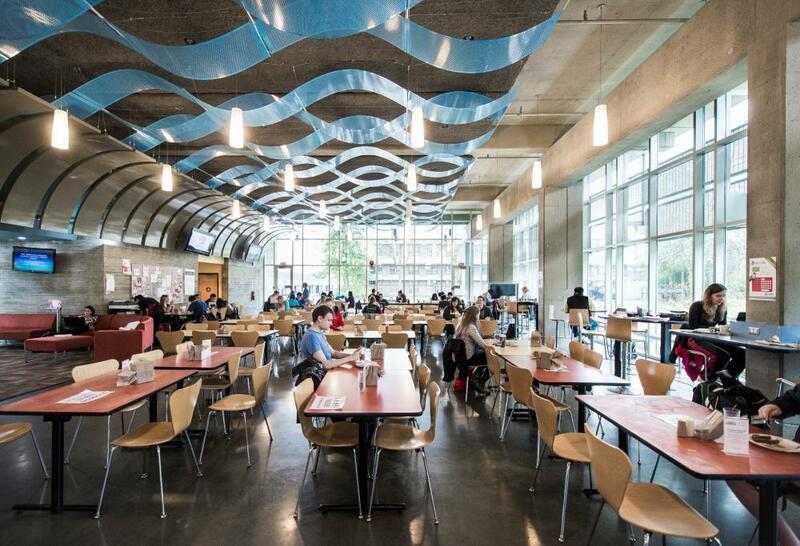 SFU Dining Services offers a wide range of catering services at Burnaby Mountain. Our catering services include but are not limited to: working lunches, VIP cocktail receptions, buffet dinners, breakfast meetings, coffee services, outdoor barbecues and wedding receptions held at the Diamond Alumni Centre. The 4,500 square foot dining hall seats up to 299. During the fall and spring semesters, the Residence Dining Hall is open 24/7 and includes the new concepts “All you Care to Eat” featuring made-to-order cooking, and “My Pantry” where students and guests can cook their favourite meals themselves. An expanded fresh fruit and salad bar provides fresh, healthy, and local products. Groups are welcome to book meals in advance or drop in and pay the door rate (groups over 15 should book in advance). Coming back from a late night networking event? Not a problem, grab a snack at the dining hall! Heading out as the sun rises for an early morning retreat? Stop by and grab a delicious and hearty breakfast. The options are limitless! Staying with us during the summer? Hours of operations may vary and buffet service is an option. Athletic Facilities	 Simon Fraser University has completed a state-of-the-art fitness centre and gymnasium complex that has added 50,000 square feet of recreational space to existing facilities. 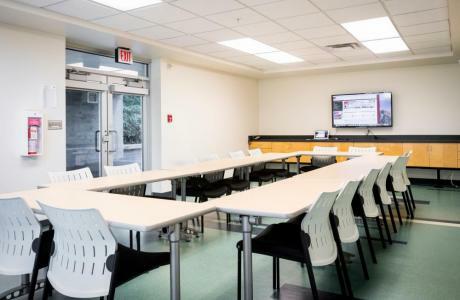 Audio/Visual LIDC, SFUs technical group, offers a broad range of audio and visual equipment including satellite connectivity and the capability to deliver video conferencing. 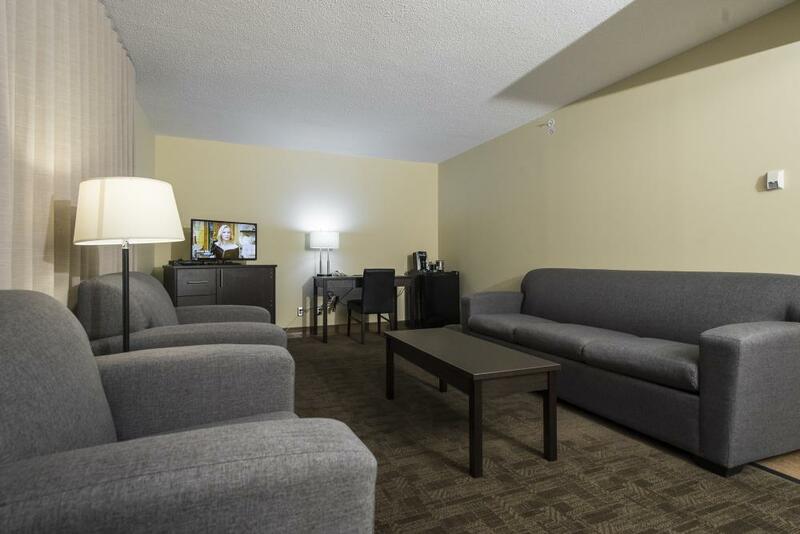 High Speed Internet All guest rooms are supplied with highspeed Wireless internet access whether you are staying in the Simon Hotel, Private Residence Room or Townhouse Quads. Classroom Technology All classrooms are equipped with an overhead projector, blackboards and wall screens and most have one wall of natural lighting. Burnaby Village Museum Built as a memorial to British Columbia's centennial in 1958, this four-hectare (10-acre) open-air museum is a recreation of an early 1900s community. Among its 30 buildings and outdoor scenes are a schoolhouse, blacksmith's shop, dentist's office and a real working theatre. It also has an operational ice cream parlour but the main attraction is a restored 1912 carousel. During the holiday season, the museum puts on a spirited Heritage Christmas . Burnaby 8 Rinks	 Sporting facility less than 10km away. Burnaby 8 Rinks is a state-of-the-art, 250,000 square foot facility features six NHL-sized ice rinks, one indoor soccer field, and one dedicated figure skating rink that is home to the BC Centre of Excellence. Bill Copeland Sports Centre	 Sports Centre less than 10km away. Bill Copeland Sports Centre has twin arenas, 2,000-seat spectator capacity, ice skating & other ice sports (fall/winter), dry-floor season (spring/summer), meeting room rentals, food service; 73,000-sq.-ft. space available for conventions, consumer shows, concerts and banquets. In 2011, they installed a new 17,000 square foot portable maple wood lacrosse floor providing an excellent playing surface. Harry Jerome Sports Center	 Sports Center less than 10km away. The Harry Jerome Sports Center is a 53,000 sf sports facility. The HJSC is the primary programming location for many volleyball & other sporting events as well as the home of the Volleyball BC offices. Coquitlam Recreation & Sporting Facilities	 Coquitlam offers a wide range of recreation and sporting facilities located within 20km from Simon Fraser University. The recreation centres feature Fitness Centres, gym programs, pools, rinks, and more indoor and outdoor activities. Canada Games Pool	 A premier aquatic and fitness destination since 1973, Canada Games Pool is renowned for its innovative lessons, customer service and quality instruction! Canada Games Pool specializes in swimming, fitness and fun. Services are tailored to each age, skill and fitness level. With four different pools, a hot tub and sauna and fitness room with an abundance of equipment, you are in capable hands when you go to Canada Games. Swangard Stadium	 Centrally located in British Columbia’s Lower Mainland, Swangard Stadium is situated in the northwest corner of Burnaby’s Central Park. 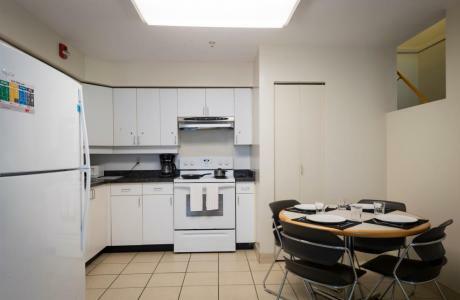 It is easily accessible – close to two major automobile routes as well as public transportation (bus and Skytrain). 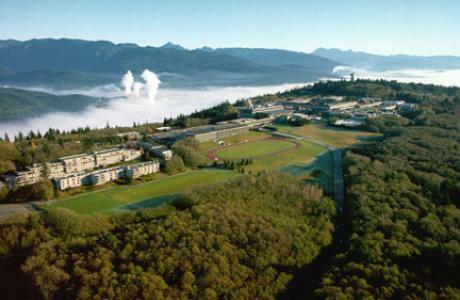 Swangard Stadium has hosted Vancouver Whitecaps’ men’s and ladies’ soccer, Simon Fraser University’s varsity football and soccer teams, and many regional, provincial, national and international soccer, rugby, football and track and field events. Deer Lake Park	 Deer Lake Park is situated in a peaceful natural environment that serves as the cultural precinct for the City of Burnaby’s arts and heritage amenities. Leisurely walking trails with scenic views connect the lake, the Burnaby Art Gallery, Shadbolt Centre for the Arts, Burnaby Village Museum and Hart House Restaurant. During the busy summer festival season, the park is a bustling hub of activity. Pacific Coliseum	 The Pacific Coliseum is the largest building within the Hastings Park complex and provides a magnificent setting for events as diverse as ice shows, boxing, basketball, hockey, concerts, circuses, large assemblies, and trade & consumer shows. The Pacific Coliseum accommodates 15,713 in permanent seating, with provision for 2,000 temporary seats on the floor for concerts and spectator sports. For large trade shows, the building offers 80,000 gross square feet of exhibition area on the floor and 47,000 gross square feet on the concourse area, with a 14-foot wide ramp connecting the two levels. Ceiling clearance from the floor is a sweeping 68 feet. Dressing rooms, office space, press working areas, exhibitors lounge and full ticket facilities are available within the building. For sporting and other public events, the seating capacities in the Pacific Coliseum arena range from 4,200 in mini concert stage to 17,000 in the round full concert or sports seating. The Pacific Coliseum was proud to be the Official Venue for Short Track Speed Skating and Figure Skating during the 2010 Olympic Games. I would just like to commend your whole staff as well as the dining room staff for the cheerful demeanor and professionalism they put forward while we stayed there. 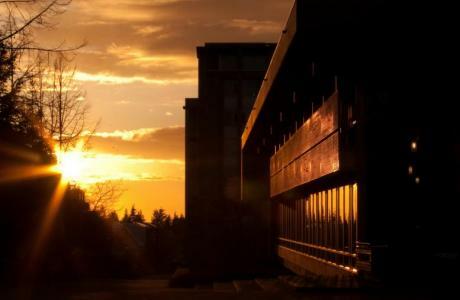 I cannot speak more highly of SFU. It was an incredible weekend thanks to you and your staff!